For RM38nett you get the main course, a bowl of chicken soup, a cup of soft drink and dessert, it may sound a bit expensive, but how if the lunch venue is at the top of Komtar with a spectacular view, you may change your mind and say this is cheap, because many people are willing to pay RM38 for the view itself, isn’t it? 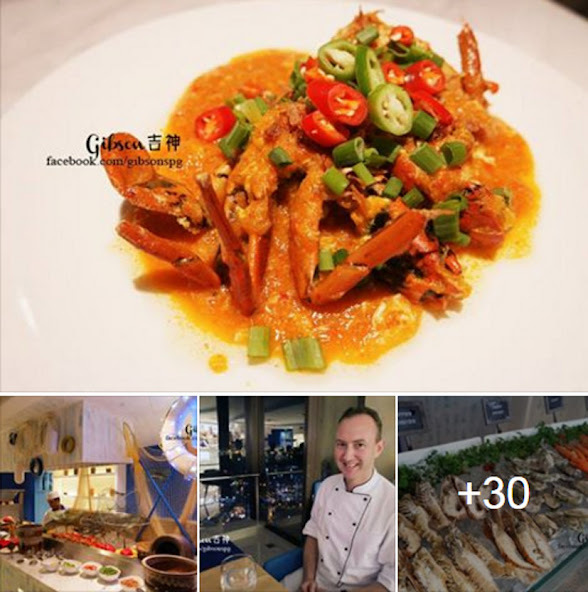 Among the 3 choices of set lunch, Gibson recommended this Tangy Tiger Prawn set if their prawns are always as fresh as what he experienced. 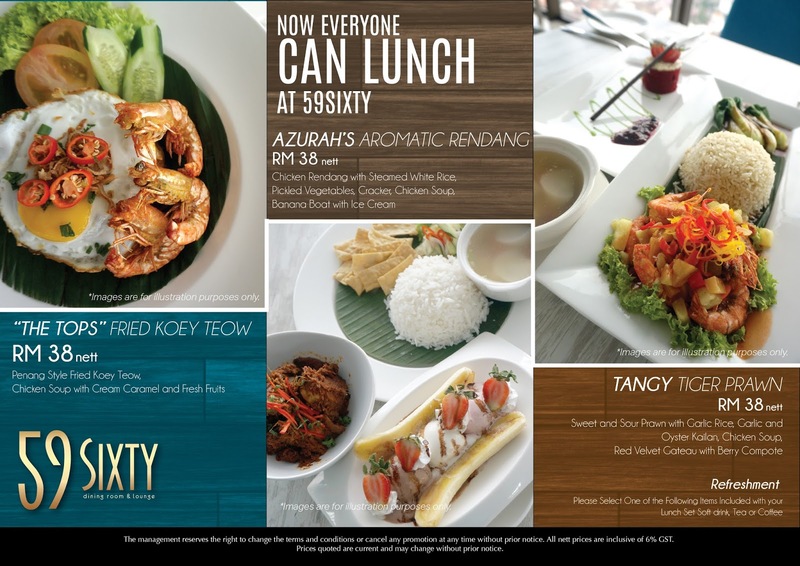 There are 3 choices for the set lunch menu at 59Sxity, but they all are served with the same chicken soup. The dessert is “bundle” with the particular set, only if they are running out of ingredients like the day when Gibson was here, they were out of Bananas, and since there was no banana boat with ice cream and he was given a choice of other desserts. This is the chicken soup that comes with all the set. Although Gibson’s friend doesn’t like the “overdose” of pepper, but Gibson had no problem with it and thought that it was a good starter. Azurah’s Aromatic Rendang is served with steamed rice, pickled vegetables and Crackers. Look different from their ads, but the taste is quite okay, no complaints. “The Tops” Fried Koey Toew is served with 3 prawns and a bull-eyed fried egg. The taste is between Chinese and Malay style. Red Velvet Cateau with Berry Compote is the dessert for Tangy Tiger Prawn. Cream Caramel and Fresh Fruits is the dessert for “The Tops” Fried Koey Toew. There are no hidden charges to the bill. If are interested about their buffet dinner, there is a review at Buffet Dinner 59Sixty.